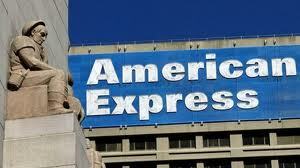 American Express has announced a policy change regarding its Membership Rewards program. Like most credit card rewards programs, purchases with an American Express card allow the card holder to accumulate points that can be traded in for products, hotels, trips and cash. The points can also be transferred to other companies that partner with AMEX, although there have been a number of partner defections in recent years. The policy change permits a cardholder that is in good standing at the time that his card is cancelled to redeem his Membership Rewards points for up to 90 days following the cancellation of his card. American Express did not define what the term good standing meant, but did state the change in policy was due to its recent decision to cancel the cards of members who were current on their payments but that were considered to be a credit risk. Many credit card companies, for reasons known only to them, made the decision to revisit their decision to extend credit to consumers shortly after the financial crisis in late 2008. Often, card holders that were current on their credit card payments found that their credit cards were being cancelled or their credit limits were reduced, often having a detrimental affect on their credit scores. Before this policy change, if an American Express card was cancelled for any reason, the Membership Reward points were lost. American Express also announced its intention to honor cash-rebate cards. If the customer has an outstanding balance on his account, then the cash-rebate will be applied to the balance. If the balance is less than the cash-rebate, American Express will issue a check for the balance to the customer. Finally, American Express said customers who had their cards canceled recently, but before the policy change, can contact American Express Membership Rewards customer service for a case by case decision on whether the customer will be permitted to redeem the points.